Final Fantasy isn’t a game that people generally cite as an example of philosophical depth. 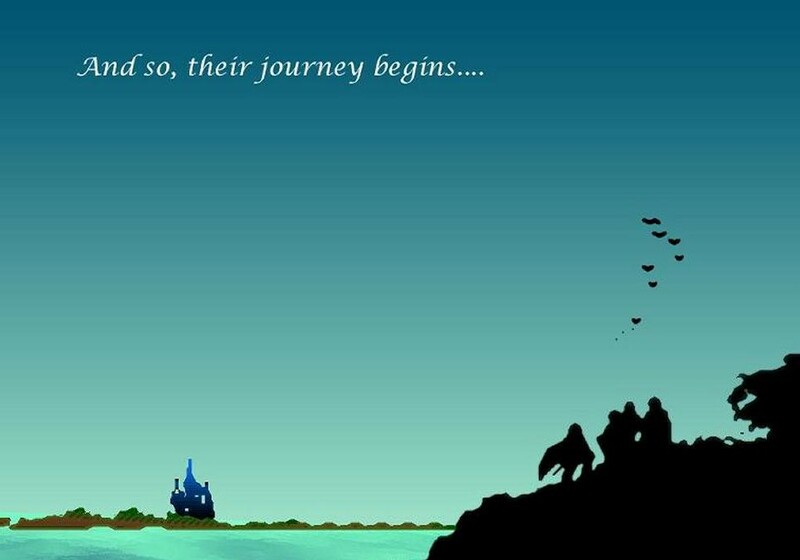 Indeed, most people don’t see it as much of anything; it’s rarely considered a “great” Final Fantasy game, and very rarely played except by the purists and franchise historians. And yet, if you actually dig into Final Fantasy, it has quite a lot of narrative depth. Depth that’s routinely ignored, because digging deeply into the thematic underpinnings of a game is hardly ever done. But there is depth nonetheless. So, let’s talk about determinism. As the great mind of Popper highlights, the basic idea of determinism is that your future is already decided, and though it’s unknown, it’s not actually possible to change it. This idea is of particular relevance to video games, because in an industry that spends so much time trying to give players agency, in actual fact there’s almost no agency involved whatsoever. No matter what your choices, the game’s end is determined, even before those choices are made. Even in games with multiple endings, the choices you can make are already determined ahead of time, and the results of those decisions are also pre-determined. Looking at things that way, it’s difficult to argue that there’s any player agency in there at all. The original Final Fantasy doesn’t really give players a great deal of leeway in how they approach the game. The towns and dungeons need to be tackled in a specific way, the bosses need to be defeated in a specific order. Though the game has that retro knack for not really giving players enough information, the game’s design does generally drive them towards the next objective that needs to be completed. It’s resoundingly linear, in other words, and in many ways one of the most restrictive of all Final Fantasies. Many would chalk that up as a weakness. After all, players - especially modern players - rather like the idea of freedom and expect to be able to explore (and then have that exploration rewarded with meaningful discoveries). And yet, is it a weakness in Final Fantasy? Taking a quick look at how the narrative is structured, it suddenly starts to make sense; the design of the game, and the way the game world itself is structured, is the perfect complement to the narrative’s key themes. 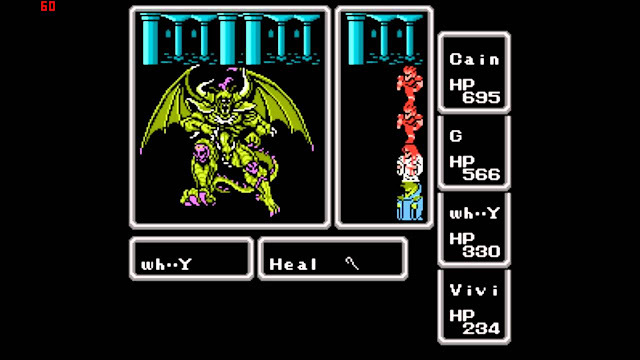 In Final Fantasy, the player controls a party of heroes who, we’re told from the outset, are prophesied to save the world from a great darkness and evil. In a world where magic can bring heroes back from the dead, or summon spells of impossible power to destroy enemies, the idea that prophecy might be a legitimate “science” is commensurate with the natural laws of believability. Therefore we can only ever assume that these “heroes of light” are, indeed, sent upon a singular thread through space and time and from the very start were guaranteed to save the world from the hideous end boss. Every step that we, as players, take through the world has been predetermined and carefully designed. It wouldn’t make sense for players to have the ability to go off the beaten track. Now, you could argue that you're able to work against this prophecy by refusing to progress the story, or even leave the first town. After all, there’s that cute dancer in the village, and you’d hate to leave her side. But then the game wouldn't continue - unless you actively pursue the conclusion to Final Fantasy. The only way to end the narrative arc is to complete the game on its terms. Which, in turn, means that you actually don’t have the ability to resist the determinism inherent in the narrative. There are other games where “doing nothing” is an option (leading the game to a different predetermined ending than the “doing something” option), but Final Fantasy isn’t this game. The only path through the game is made quite clear to the players from the outset. You’re even forced to be heroic. Right from the start, when you’re tasked with rescuing princess Sarah, your heroes are more restricted in what they can do than at any other point. The village you start out from is on a tiny island, and the only way off that island is via a bridge, which the king won’t repair until his daughter is safe. 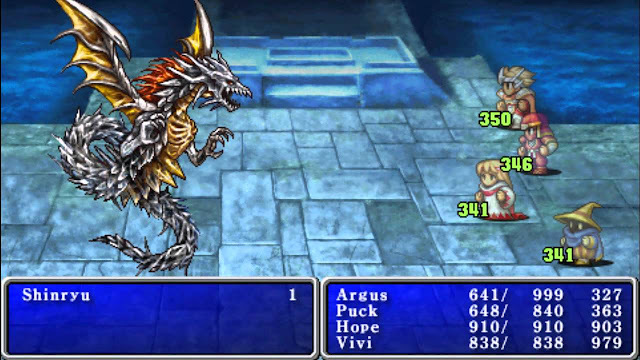 Ultimately, Final Fantasy’s enduring value as a game is its honesty. Where modern developers work harder and harder to conceal the fundamental truth about games - that they are, almost universally, deterministic -, Final Fantasy’s narrative, right through to the design of the game itself, works in concert with its fundamental determinism. It doesn’t resist it, and for that reason I find the game refreshing, to this very day.